To improve your search rankings, you’ll need more than just backlinks. 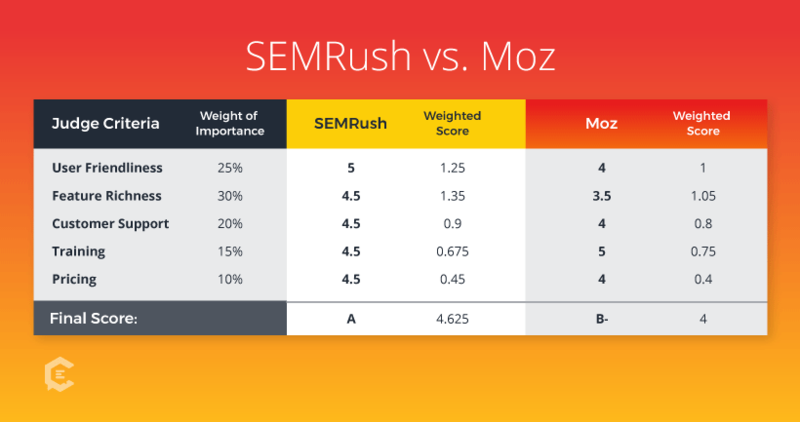 Expert Ben Beck, who uses and reviews countless martech tools, does a head-to-head review of two top SEO contenders for optimizing your website and content: SEMrush and Moz. Which SEO tool subset is right for you? Search engine optimization (SEO), one of the best ways to obtain readers for your hard-won content, becomes more untenable by the day. Search engines and social media platforms continue to update their algorithms, which leads to the need for search engine optimizers (SEOs) to always be improving the way their content is written and distributed. Thankfully, the basket of SEO tools is overloaded with resources. The trouble is, they all claim their SEO services are the best. Although most boast a variety of features, they are not all created equal. 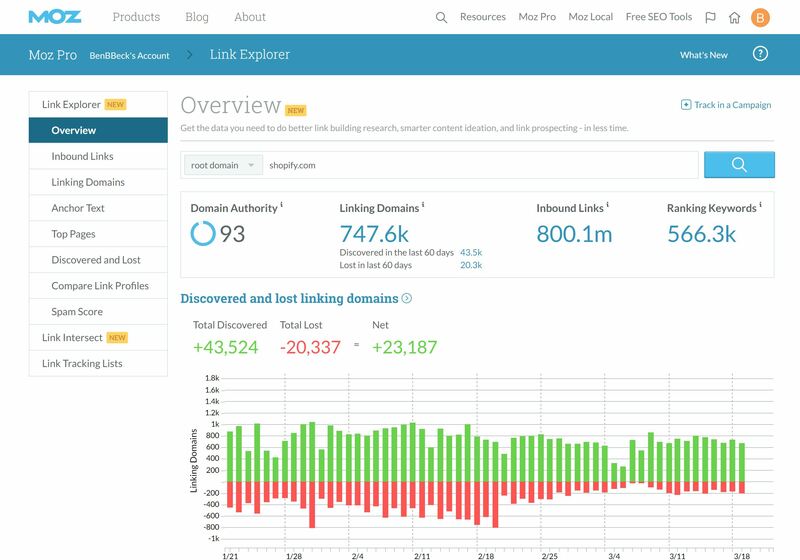 In last week’s #MarTechMonday post we looked at two tools that fit within the analytical and backlink building toolset, where we reviewed Majestic and Ahrefs SEO tools. This week we’d like to focus on the other subset of SEO tools, ones that are more focused at optimizing your website and content. We will use several categories of grading criteria to assess each SEO optimization-focused tool to help you determine which one is right for your business. User-friendliness: How easy or convenient is the tool to use? Can it be used on multiple devices? What level of effort is needed to learn, use, and implement the given SEO tool? Available features: What are the available features? Are they useful? Do they fit most SEOs requirements? Available training resources: What training resources are available? Are there tutorials, demos, or webinars? Price: How much does the SEO tool cost? Is it a good value? Is it built to make a high switching cost (time, labor, money) if you decide to try another tool? Deep dive: What is SEMrush? Originally founded in 2008 as a basic keyword analysis tool, SEMrush has expanded into a full SEO tool with all the bells and whistles, but specializing in analysis of increasing online visibility and search engine rank optimization. Many SEO professionals and specialists believe that SEMrush provides the best value for your money. SEMrush offers a number of features, from improving search engine rank, researching competitive keywords, and analyzing competitor data, and many more. Available features: SEMrush is known for their wealth of features, specifically access to long-tail, low-competition keywords that have proven to help improve search engine rankings. SEMrush can also track up to five different competitors’ sites with a single subscription and up to 500 keywords.One of the most used features, of which there is a free version for small companies, is their site and keyword analysis tool. With this tool you input a domain name or favorite keyword of a competitor, and SEMrush gives you a variety of helpful metrics you can use for a competitor conquest campaign: how much money your competitor is spending on search engine marketing, what keywords they’re buying, who ranks where for which keywords, etc. If you’ve never tried SEMrush before, I encourage you head over to their website and give their keyword analysis tool a spin. Simply type in the keyword you want to search for.Lastly, SEMrush has been adapting and improving their tools considerably over the last 18 months or so. They continue to build in new functionality, such as the CPC Mapping feature (still in Beta at time of publication) you can see below. This pace of software development is one that Moz hasn’t been able to keep up with, giving SEMrush another edge. User-friendliness: SEMrush is available as a web-based app and is also available on mobile. Several major competing tools (not Moz) are only available on Windows and Mac as installed applications. While Moz (4) also provides an online, on demand, interface, it isn’t as easy to find the tool you’re looking for due to the way they’ve partitioned their tool into many smaller tools, so SEMrush takes the win for user-friendly design. Customer support and satisfaction: SEMrush offers customer support via phone, live support, email, training, and ticket submission. While their free service level does not include customer support, paying customers get quick responses and help to any problems that arise. Training: In addition to offering around-the-clock customer support, SEMrush also offers a handful of training tools and resources, including live training courses, webinars, and even in-person training events. Price: The SEMrush PRO plan has been steadily increasing in price over the last few years. Once considered a budget SEO solution, compared to Moz, it now has no advantage of Moz, pricing wise. SEMrush is priced at $99.95 per month — and that is for only one user, which can be a bit pricey, especially if your business is made up of a small team of people. Even if you are a one-man — or one-woman — show, $99.95 might still be a big bite to chew. On the other hand, considering the wealth of features, services, and support, $99.95 might be well worth it. In fact, many users believe SEMrush provides a solid value for the money. A free version exists, though it limits the number of results it shows you in the reports. Serious users will want to upgrade to a paid version after trying it out. As we mentioned above, SEMrush offers a PRO subscription model for $99.95 per month. The Business plan is priced at up to $400 per month. Deep dive: What is Moz? Still referred to as SEOMoz by many old school SEOs such as myself, this tool was recently rebranded simply as “Moz.” This tool started out in 2004 as an online community and blog giving SEOs a place to talk shop, and has become one of the most powerful SEO tools on the market. Moz launched the Beginner’s Guide to SEO, which served as the SEO “bible” in the field’s infancy and released their first “Search Ranking Factors” study, which still remains as an important resource in the SEO world today. Today, Moz is a full-fledged SEO system that offers search engine keyword rankings, keyword research, links, site crawling services, page optimization, and more. SEO community: As Moz entered its life as an online community and blog for SEOs to talk shop, it still produces a lot of great content for SEOs and content marketing managers. Even if you choose not to use their tool, you should follow the Moz blog for a lot of great content that will help you on your content marketing journey. Available features: Moz holds the title for most pages crawled, with over 250,000 pages, giving it an advantage over SEMrush as far as competitor SEO research for crawled data (meta information mostly). Therefore, Moz’ site crawling features are tough to beat.In addition to site crawling, Moz offers features for keyword research, link management, rank tracking, and even content management. Training: Moz does offer a number of training courses, tools, and resources. For all new users, Moz enrolls you in an online training program (via scheduled emails) that brings you up to speed on all the functionality Moz offers. Moz also provides online, on-demand courses, tips, and tricks; live, in-person training; and even enterprise-wide training, which is a great opportunity to train teams. Availability and scalability of features: Moz offers tracking for just two sites and 300 keywords, whereas SEMrush tracks up to five sites and 500 keywords. Although Moz does offer a number of important features, their domain authority and backlinks features have fallen behind over the years. Additionally, while the tool does offer a fair amount of great features, their development and addition of new features is lagging behind SEMrush. Available support: While their live chat representatives are quick and well trained, when you’re trying to run an SEO report you’ll be presenting to your manager or company board later in the day, and it isn’t working, you may want the option of picking up the phone to talk with someone. 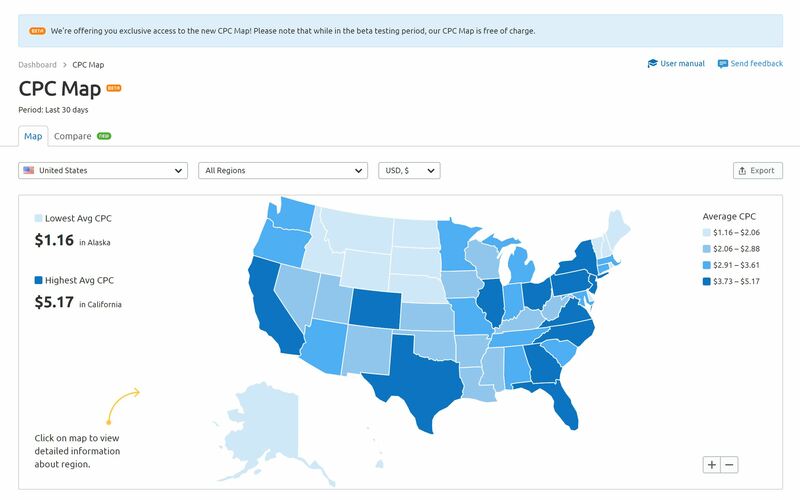 User-friendliness: Compared with some other SEO optimization tools, Moz isn’t necessarily the most intuitive. It can take significant time to figure out where to find certain features as well as to decipher reports and parse through data. SEMrush has all their features accessible in one easy-to-use navigation menu, but with Moz I’ve found myself doing a Google search to find a feature I knew was in the tool but just couldn’t locate.Additionally, the fact that Moz doesn’t offer a mobile application for multiple devices puts them at a serious disadvantage. Like SEMrush, Moz’s basic plan starts at $99 per month. Upgrades go up from there, with their most prestigious plan running clients as much as $599 monthly. As you can see from our scoring, we’ve put the most weight on functionality and ease of use, as those two components affect the content marketing or SEO manager daily. Since SEMrush offers more features as well as mobile capabilities, businesses of all shapes, sizes, and industries can benefit from using SEMrush’s services. Moz offers services to individual freelancers as well as companies of all sizes. This tool would be a viable option for a freelance entrepreneur who is just starting out, or a small or medium-sized business that wants to grow and gain a competitive edge online. All in all, it’s important to consider the features you need as well as your budget. Of course, each business has unique needs and desires and will utilize features in different ways. Although we provided a brief overview and review, you may discover that the “winner” still might not be the best option for your business. However, we hope that this head-to-head review and assessment of the various strengths and weaknesses of each optimization-focused tool will provide you with the information you need to determine which service is better for you.